bad shape. 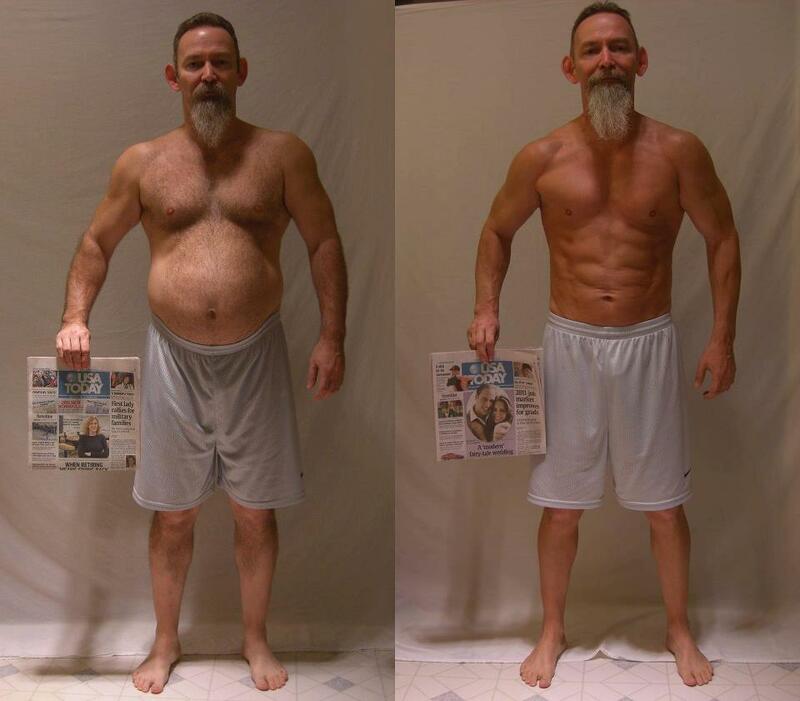 He had a pretty large pot belly / spare tire around his waist which for men is a dangerous particularly as you get older as it is also an indication of other health related factors like high blood pressure and cholesterol. But as you can see, he went from overweight with very little muscle mass, to ripped with six pack abs. His upper body didnt get much larger but you can tell he followed a healthy eating plan and workout schedule to transform his body. If you're interested in getting a better body, whether it's to lose a few pounds of fat or put on a few pounds of muscle, I always recommend starting with research on what thew best things to eat are and when, as well as the best workout routine for whatever your goals are. Here are two fitness books that I consider to be the best resources out there. They give you eating plans and explain the differences between good carbs and bad carbs, as well as how to workout to burn fat or build the most amount of muscle possible.